Dubbed by numerous former clients as ‘the best hotel in the world’, a stay at The Four Seasons Hualalai is a magical experience from start to finish. Situated on its own private beach, this luxury resort offers its guests pristine seaside grounds and spacious, immaculate rooms, as well as a spa, a fully equipped gym, tennis and golf courts, and five swimming pools. The breakfast buffet alone is worth writing home about, which you can happily do with a glass of crisp wine in hand while watching the sun sink down over an unreal ocean view. Perfect for families and couples alike, the Four Seasons has built its reputation upon the highest commitment to quality possible; this is the place to come to experience the ultimate degree of island hospitality. Ideally situated close to Kealakekua Bay and historic downtown Kona, Wyndham Mauna Loa Village is ideal for families who want to have a little more freedom and space to themselves while roaming the island. Condos here range from one to three bedrooms, equipped with full kitchens and all the amenities you’ll need for a comfortable, independent stay on the Big Island. Their recently renovated units are spacious and designed to let in lots of Hawaiian sunlight, and the on-site staff is always friendly and helpful. 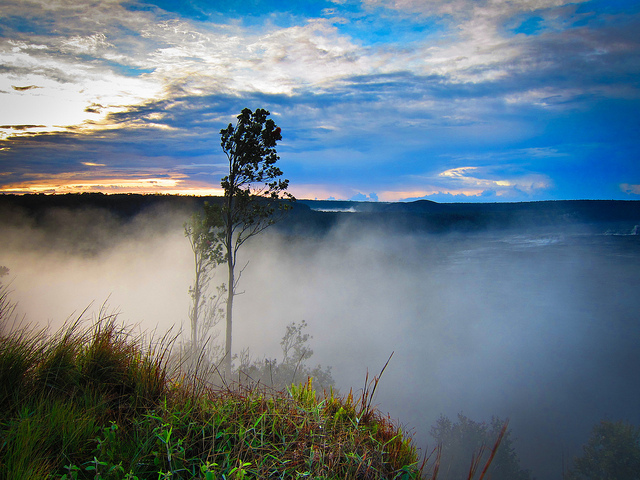 You’ll be hard pressed to find a better value for your money than Wyndham Mauna Loa. On the periphery of historical Kona, Courtyard King Kamehameha’s Kona Beach Hotel is just a hundred yards from the beach and within walking distance from lots of bars and restaurants, making it perfectly located for all those who want to take in Kona’s nightlife after soaking up the sun all day. With modern and impeccably clean rooms, the hotel is well equipped with a gorgeous private pool, a fitness center, a restaurant, bar, and tennis courts. All your needs will be taken care of here and you can expect to have a very comfortable stay at a very reasonable price. Designed after traditional coffee planation houses, Hale Maluia Country Inn is a homey, seven-room inn in Kona’s back country, just three miles from Kona’s historical center. 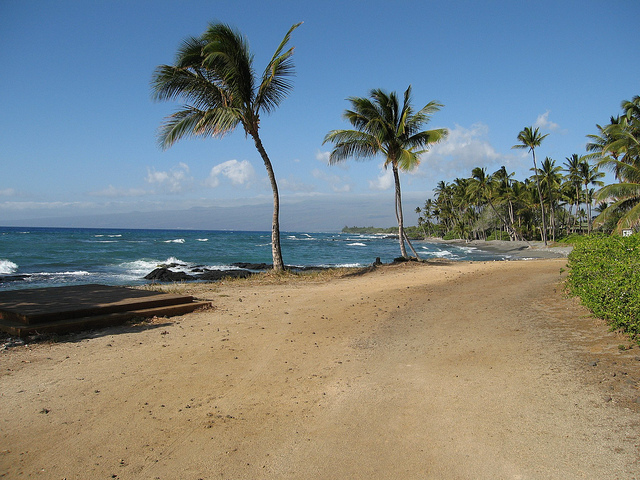 This spot is ideal if you’re seeking an organic vacation experience to rest, rejuvenate, and explore the Big Island at your own leisurely pace. Owners Ken and Sue are happy to advise you on activities and answer your questions, without ever stepping on your toes. Complimentary breakfast is included with your stay, and can be enjoyed outdoors while watching wild turkeys and multihued birds search for their own early bird specials. This is a great place for families and honeymooners alike, serving guests a slice of home in a tranquil, tropical refuge. If you can, see if you can snag the Banyan Cottage room: virtually a treehouse, but equipped with its own jacuzzi and refrigerator, this spacious cottage is perfect for both families with kids, and lovebirds looking for a literal roost. Situated on a lush 30 acre coffee estate, Holualoa Inn is a luxurious Polynesian-style bed and breakfast within arm’s reach of historic Holualoa, and an equally short distance from the infamous White Sands Beach Park. Every stylish suite is furnished with WiFi, comfortable seating areas, and lovely original artwork, as well as arresting garden or ocean views. Some rooms come with their own private balconies and jacuzzis, making this another great option for couples in need of a romantic getaway. Start your day breakfasting on fresh tropical fruit and locally grown coffee roasted to perfection, then take a long swim in the inn’s pool; then, after an active day exploring Holualoa, come back at night to unwind with some stargazing in the grounds’ adorable gazebo. If style, luxury, and serenity are what you’re seeking, Holualoa Inn is the place for you. Just a few minutes from downtown Hilo, Hale Kai is a gorgeous bed and breakfast that gives its guests a close-up encounter with Hawaii’s natural beauty. Stunning, unobstructed views are offered in every room, and it’s even possible to do some whale-watching from your window if your timing’s lucky. Their spacious, clean tricolored rooms often extend into private balconies, where you can start your day with a sunrise breakfast (or a noontime brunch, if you’re a late sleeper) prepared by Maria and Ricardo, Hale Kai’s warm and personable hosts. Just three minutes from Honolii Surfing Beach, and within easy walking distance of several museums and markets, Hale Kai is an ideal home base for exploring the Island. 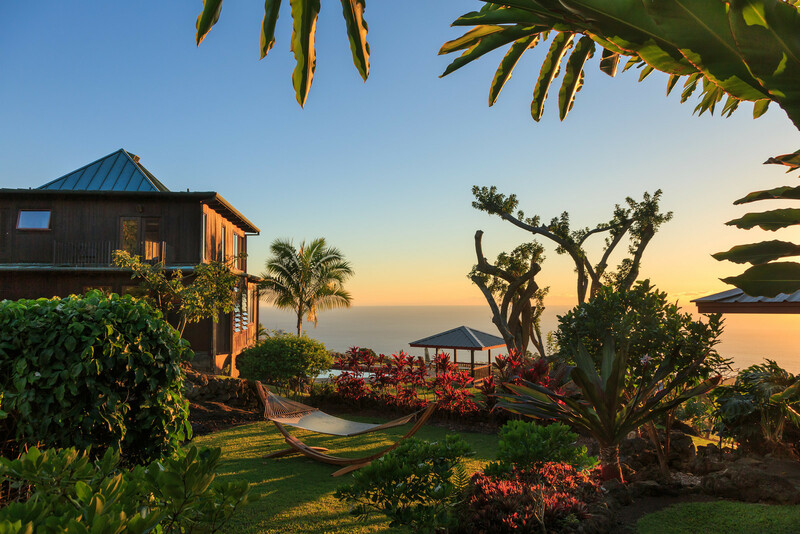 Set on a former Macadamia and coffee farm, you’ll feel blissfully removed from civilization at the Rainbow Plantation, despite being a mere 20 minutes from Kona’s city center. This gem of a bed and breakfast is ideal for those looking to get back to nature in a laid-back, lush setting. Pick a handful of Macadamia nuts and hanging fruits from the premises, and get ready to explore Hawaii on your own terms: spend the day kayaking and swimming with dolphins at the nearby Kealakekua Bay, or roam the hiking trail that leads to the famous Captain Cook monument. Whatever your agenda, there’s always something new to discover here, and the staff is more than happy to facilitate your adventures with free access to snorkeling equipment and expert advice on the local terrain. If you’re looking to lodge on Hawaii’s coast without breaking the bank, Kona Tiki Hotel is your best bet. This no-frills hotel near downtown Kona is perpetually booked, and with good reason: it’s a rare thing to find a hotel with arresting ocean views from every room that doesn’t ask you to empty your entire piggy bank in exchange. Enjoy your breakfast poolside or from the comfort of your well-kept room, and take advantage of the prime location with a day full of snorkeling, or dive into downtown Kona’s dining scene. Whatever your agenda, the ultra-friendly staff is happy to help you perfect your plans. If you want to experience some honest Hawaiian hospitality and skip the fuss of big expensive resorts, head to Kona Tiki for a dose of genuine local charm. Volcano Inn is a small corner of paradise nestled in the middle of a rainforest, right beside Hawaii Volcanoes National Park and Kahaulea Natural Area Reserve. Well off the beaten path, this Inn’s easygoing ethos makes it a great HQ for unwinding and adventuring away from the tourist hoards. The staff is sweet and the rooms are immaculate, complete with bamboo floors and giant windows with views of the emerald green, flowering vegetation all around you. Several of the rooms contain both bunk beds and queen sized beds, making the Volcano Inn fully equipped for an exciting family getaway. If you’re looking for a peaceful spot that’s fully immersed in the natural wonders of the Big Island, this hotel is hard to beat.